Have you ever felt like enjoying a special drink, without all of the accompanying calories and alcohol? Samesies. Lots of social gatherings and time with the family makes dipping your toes into the “hard” end of the pool verboten. I know, I know: adulting is hard. But keeping things wholesome while having a good time is FUN. That’s why I have become a full-on enthusiast for mocktails, the healthy sibling of the cocktail. Did I mention that they’re fun yet? They can transform any regular old day into a glass-half-full affair, and gift garden parties or soirées with a splash of entertainment for your expecting friends to enjoy. 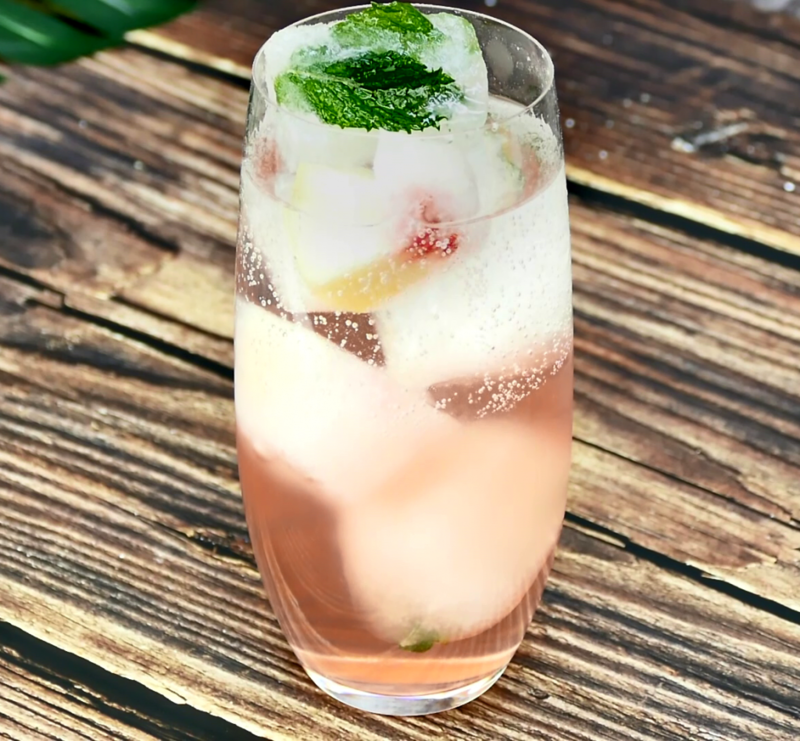 For those friends who do prefer a little kick, a mocktail can be transformed easily into a more traditional drink with a splash of anything. We provide our recommendations for exactly that to each of the recipes below. Without further ado, let’s dive right in to the flavor pool. This is a flavorful smash with a playful name we’re shamelessly taking right from the content creator. Who doesn’t sometimes feel like hulking out after a hectic week of preparing meals for the kids and shuttling them around to school then after school activities? The health benefits of a kiwi-based drink are significant: they help treat asthma, aid in digestion, boost the immune system, reduce blood pressure, and guard against loss of vision. Sold! 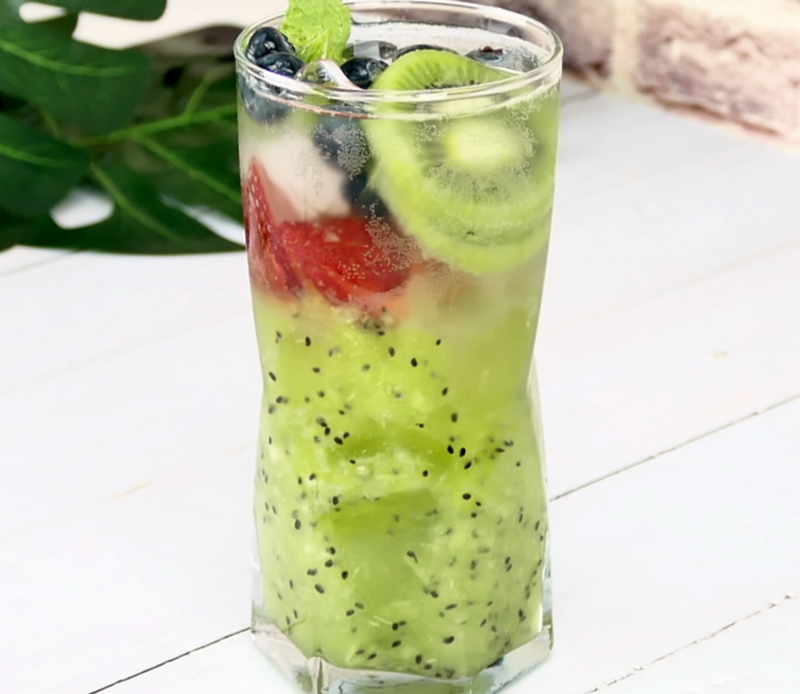 If you’re interested in some other ways to prepare yourself a kiwi treat, check out 7 Ways to Drink a Kiwi. 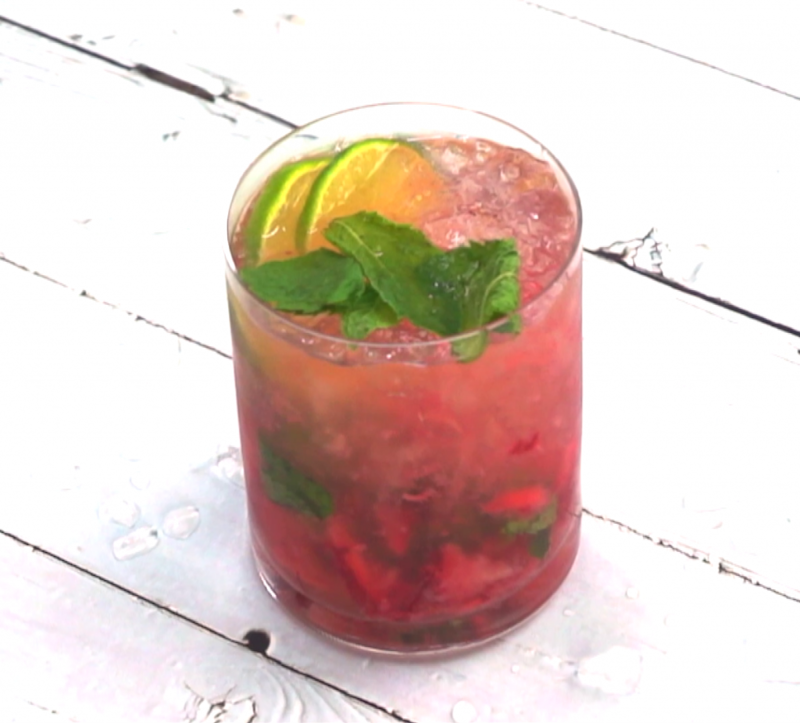 Minty, slightly sweet, and jam packed with strawberries and lime, this one is a sure thirst quencher. I tried this one out most recently and it knocked my socks off! Don’t get me wrong, I’ve been a mojito fan for years, but I’ve typically stuck to tangier varieties. This one definitely necessitates having good fresh strawberries in season, but when the time comes it’s a fantastic celebration drink. It batches well for larger groups so you can switch to pitcher mode in a pinch (say that 5 times fast). You’ll just need to adjust the lime juice so that you don’t lose the flavor completely but also don’t make it too tart. If you’re switching to a version with a bit more zazz, I’d recommend a splash of rum to complement the strawberries. Then you’ve got a variant on a strawberry mule. Enjoy your classic Cuban mocktail with an innocent peachy core. Super easy to prepare and wholesome as they come, the Peach Mint Drop is a winner in my book. There’s something really special about how the peach interacts with the mint flavoring that leaves a lasting impression. The mixture of southern hospitality with a mojito classes up any occasion and pairs well visually with the Strawberry Mojito above. Halloween is around the corner, so I wanted to include a perfect fun treat for the kids (or adults!) to enjoy. Impress your friends with this ghoulish sweet drink that’s to die for mwaaa haaa haaaaa. 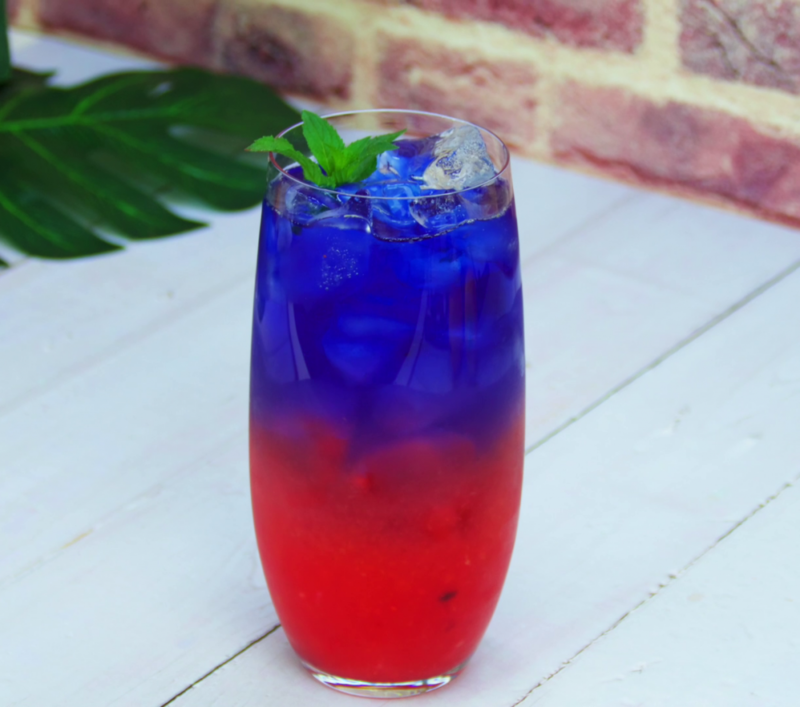 This colorful beverage comes replete with butterfly pea flowers, mango sauce, mixed berries, and lime; plenty of sweet and vitamin rich contents for something that looks like a nuclear Kool Aid drink! I love anything that the kids will automatically assume is a sugar bomb but gets them to drink something healthy. I hope you enjoyed this list of fun and simple mocktails. It’s great to keep things healthy while having a blast. If you’re on a kick of looking into healthy alternatives, check out this recent article on the advantages of lemon water in the morning. Until next time!